One can learn a lot by paying attention to the details of what people say. If you listen carefully, folks will eventually tell you what they are up to and how they think. 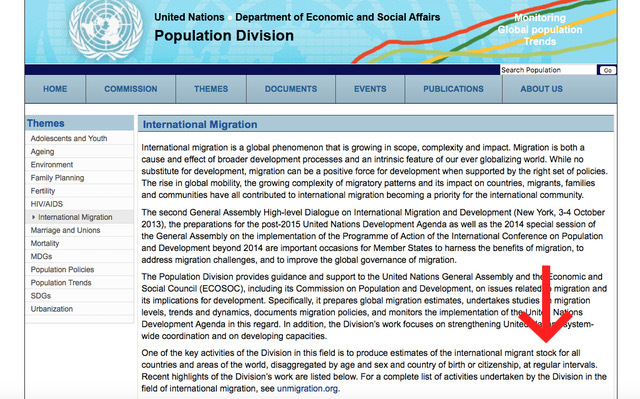 Following a link on Dr. Ileana Johnson’s August 12 TBE article (http://thebullelephant.com/welcome-everyone-take-our-country/), I landed on the web page of the Population Division of the U.N. Department of Economic and Social Affairs. On this page, a pair of words caught my eye: “migrant stock.” I could hardly believe it and had to look twice to make sure that this U.N. website was actually using this term to refer to human beings rather than, say, bacteria or farm animals. They were. Is it a set of shipments ready for movement by the U.N. from supplier to customer? Is it a set of inventory whose levels in various warehouses owned by the U.N. must be monitored and maintained in order to ensure optimal business operations? Perhaps the folks at the U.N. Department of Economic and Social Affairs view this “migrant stock” as an expendable product to be measured in units, moved around, used, or sold to the highest bidder? The United Nations is made up of tens of thousands of people. A committee of these presumably worked on the text of this particular web page. What interests me is that this phrasing, “migrant stock,” made it past the editors and did not seem to have struck anyone as odd or inappropriate. I suspect it is because there is a shared worldview in the U.N. culture that assumes authority to itself in managing the affairs of the world and feels superior to others while also holding a low or utilitarian view of the worth of individual human beings. As with any organization, the U.N. has a corporate culture and a core set of guiding moral principles. 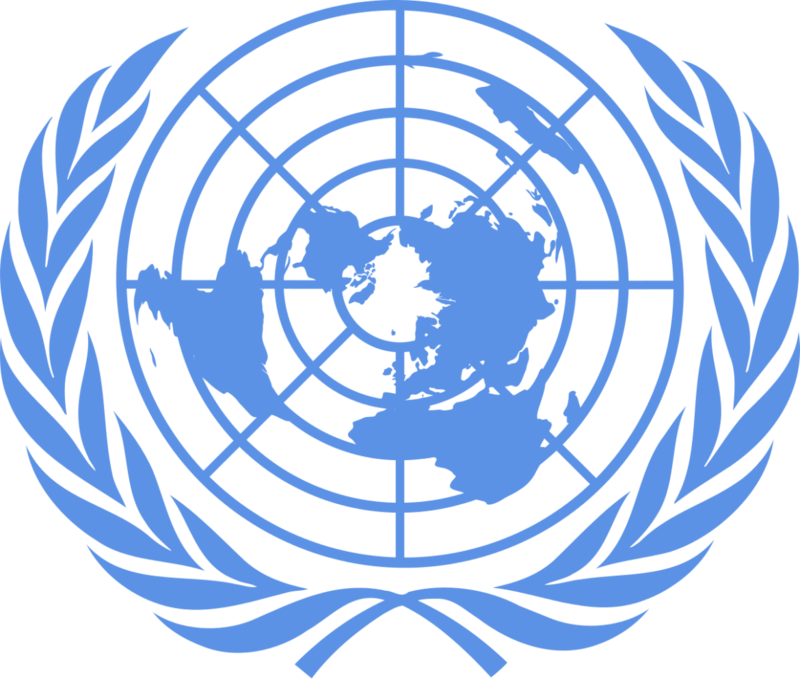 Among the moral principles of the U.N. is the belief that rights do not come from God but rather from government. This moral core principle was previously embraced by Joseph Stalin, Pol Pot, Mao Zedong, and perhaps every other petty dictator and mass murderer the world has known. Today this principle is embraced by the United Nations, U.S. Senator Bernie Sanders, Socialist congressional candidate Alexandria Ocasio-Cortez, and leftist white nationalist Richard Spencer. Notice that this position of Sanders, Spencer, Ocasio-Cortez, and the U.N. stands quite at odds with the stance of the Founders of the United States, who addressed all the pre-existing social abuses in our nation (yes, including slavery) and the world with the bold claim: We hold these truths to be self-evident, that all people (yes, they meant men and women, and people of all races) are created equal, that they are endowed by their Creator with certain unalienable Rights, that among these are Life, Liberty, and the Pursuit of Happiness. People are not mere animals. Some moral principles are not pliable, because they are not socially constructed but are actually, objectively, true. I appeal to the United Nations, and to Senator Sanders, Richard Spencer, Alexandria Ocasio-Cortez, and others who share their views, to stop trying to drag us back to a past where people, like cattle, are expendable because lacking inherent value and God-given rights. With respect, your views are dangerous, deadly, unjust, and wrong. Daniel Brubaker is a scholar in the field of early manuscripts of the Qur’an. He lives in Lovettsville, Virginia, and is the Chairman of the Tea Party of Loudoun County.